Jurgen Klopp says Ragnar Klavan's Liverpool exit is not yet finalised but insists no player will leave if he feels the Reds' squad would be weakened. 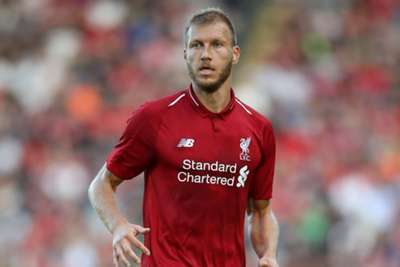 Estonia centre-back Klavan is rumoured to be on the verge of a £2million move to Serie A side Cagliari having fallen down the pecking order at Anfield. The arrival of Virgil van Dijk in January, coupled with the fact Joe Gomez is set to play a more prominent role at centre-back this season, has left Klavan seemingly surplus to requirements. With Dejan Lovren still unavailable due to injury and Joel Matip - who Klopp hopes to have available on Monday against Crystal Palace - working his way back from an upper-leg complaint, the German was asked about the timing of Klavan's potential sale. "First of all I didn't hear anything is finally sorted, so nothing from me on that," he told a news conference. "But I said in general it's possible people will leave, it always has to be good for all three sides, that's what we have. "No player would leave the club if I would not allow it. If, if, he leaves then I said yes to it. That's how it is." Klopp added that he does not have a target in mind in terms of player sales, with transfer windows across Europe still open. "No [there's no target], it's about the situation. It's about how is the offer," he added. "First of all how is the need for us? Can we give them the opportunity if he wants to leave? Can we do it? Is there an offer or not? "That's a bit of the problem of the window, we close in England and the whole of the European world waited to get good football players [on cheaper deals]. "That won't happen, we're not in a financial need where we need to do that. We could give a few players the opportunity but there's no number in my mind at the moment." "I was never in doubt about Joe and his ability to play centre-half but he needed time," he said. "He had a big injury. He's fit which is very good, he's a very good football player and plays the position well. He and Virgil have good understanding. "We have others as well, Joel is almost back, hopefully in the squad Monday, Dejan is still a bit injured. "If needed, Fabinho can play there as well, but he should obviously play another position. We have enough players, we have to see who fits the opponent best. That he [Gomez] can play the position well, I knew before." 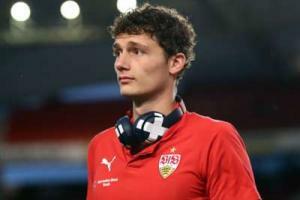 Benjamin Pavard will join Bayern Munich from Stuttgart at the end of the season, because, he says, he is one of the Bundesliga's best.